These wall shelves offer an incredibly stylish storage solution for your home. 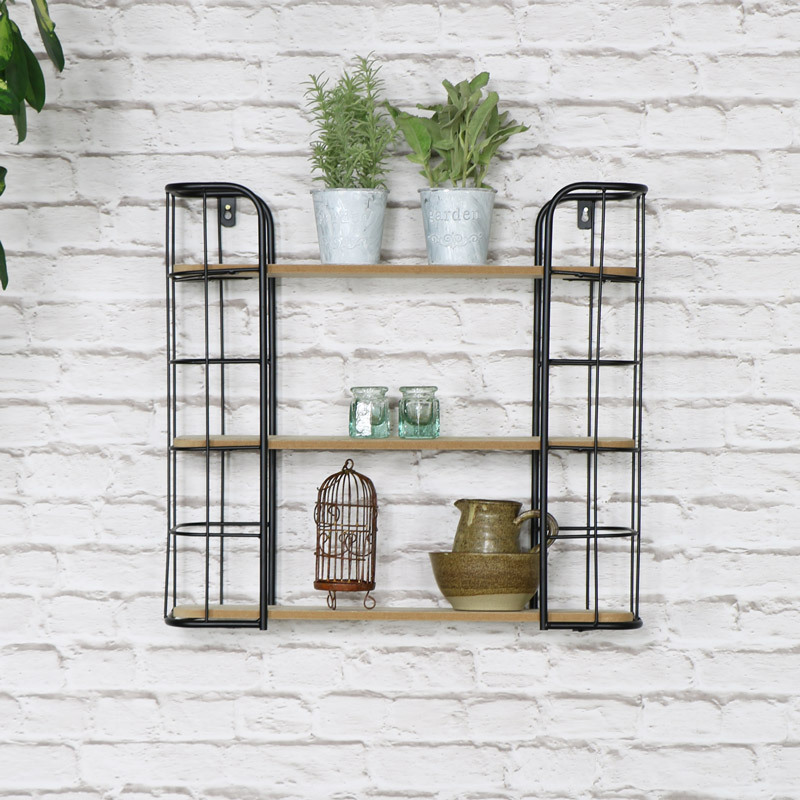 Black metal frame and natural wood look shelves in a retro, industrial style that will look great in a modern or loft living themed home and great for the living room, hallway, kitchen or bathroom. A great look for the minimalist home or for anyone that loves the retro, industrial look. This comes with 3 shelves perfect for using as display for ornaments, trinkets or plants in the living room or hallway, perfect place for all those cooking spices in the kitchen or ample storage for all your favourite lotions, potions and bottles of perfume of aftershave for the bathroom or bedroom. With plenty more storage options and shelves in this fab design. Fantastic style for fabulous homes. Easily wall mountable with two holes attached to the rear for easy hanging from screw or fixings. 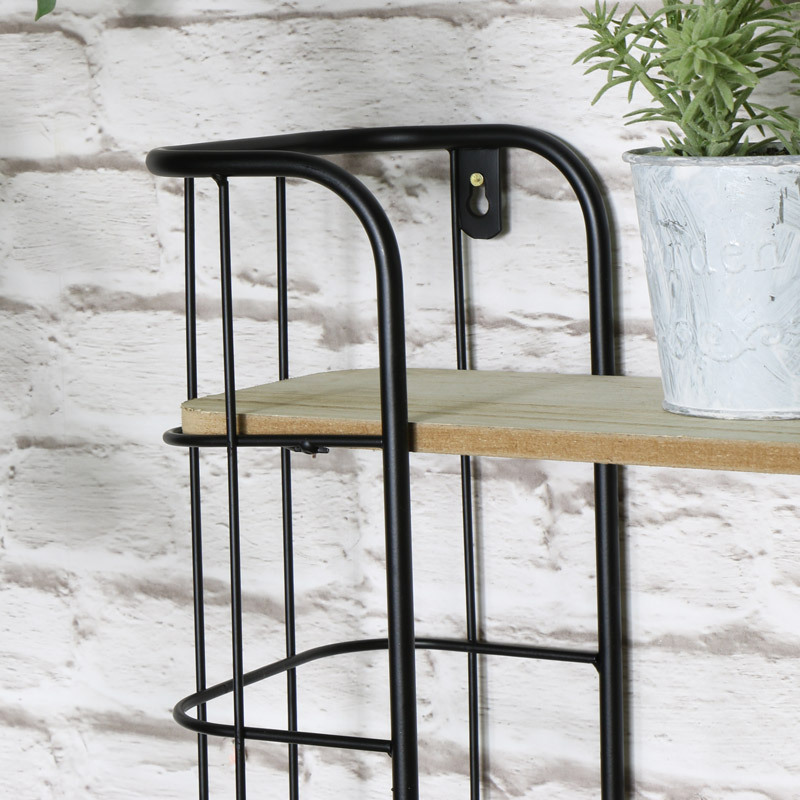 With a large industrial and rustic selection on our website that is constantly updating and growing we are bound to have what you require for a more retro, industrial and rustic home finish. Other Measurements: Gap between the bottom two shelves stands at 17cm high.